Welcome to the charming little village of Pajaro Bay, with its cast of quirky characters and its funky cottages overlooking the sun-drenched coast. Readers praise the series for its "sweetness," its "excellent characterization," and say the books are "adorable, lively and like a warm hug." Hallie Reed comes to Pajaro Bay to spend the summer working at the village's broken-down old amusement park. But a series of mysteries sets her on the trail of two missing teenagers. 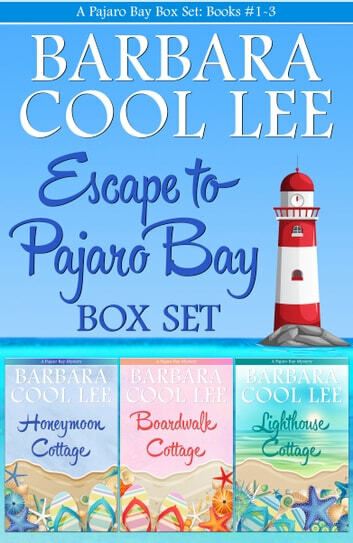 She soon finds herself at the center of a puzzle that will change her whole life when she visits Boardwalk Cottage. 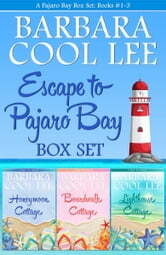 In Lighthouse Cottage, sheltered heiress Lori York runs away to the isolated island lighthouse at Pajaro Bay. But when a mysterious man washes ashore during a winter storm, she has to figure out just what he's hiding before they both end up as shark bait.